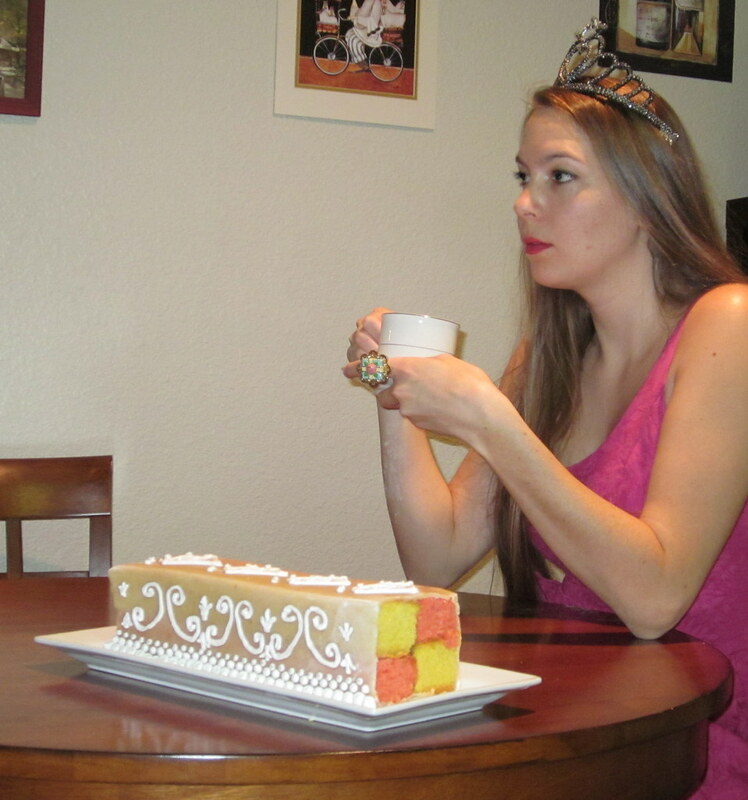 No procrastinating on this month’s challenge at the Daring Kitchen. 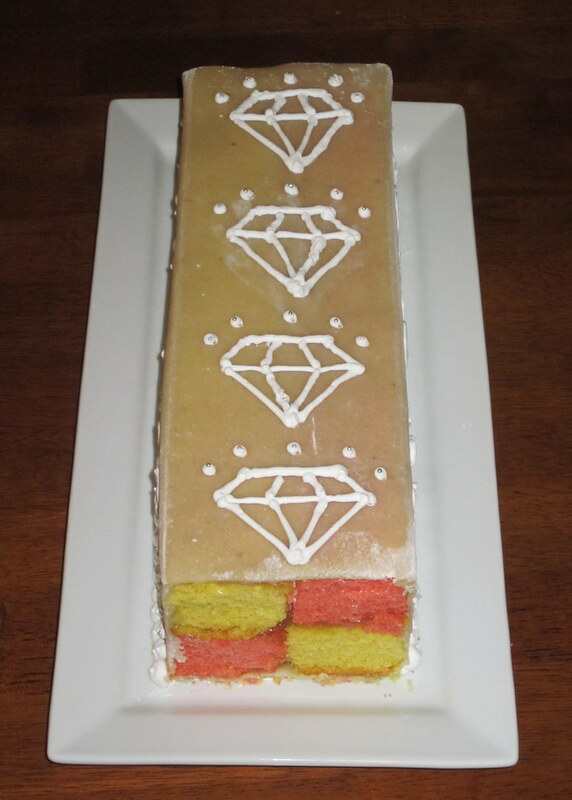 Battenberg was the name of the game and seeing as how it is a British cake, I wanted to make it in time for the Queen’s Diamond Jubilee. 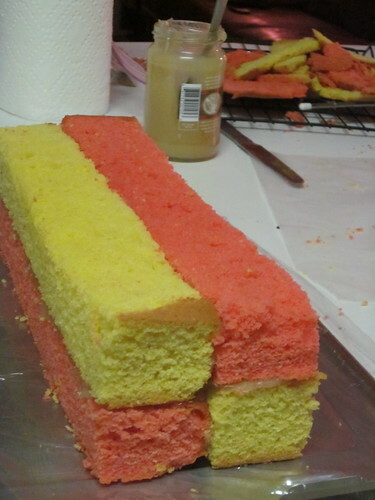 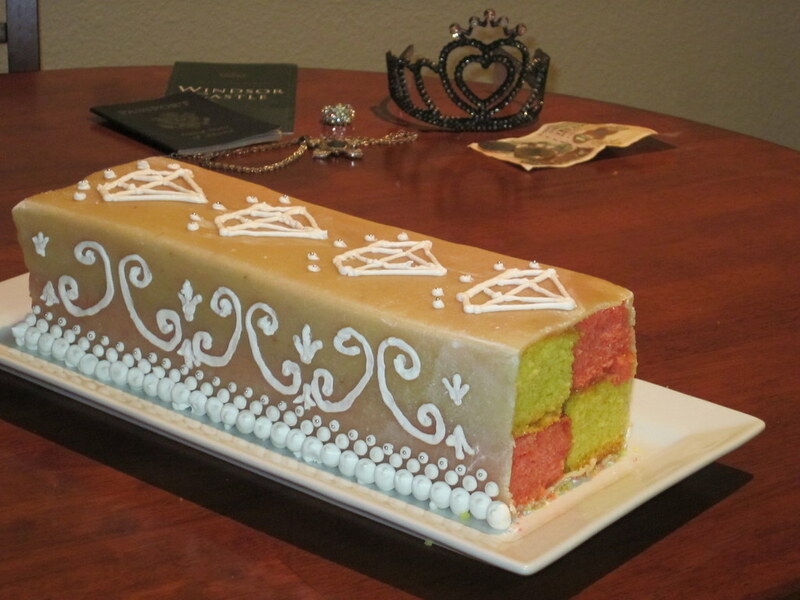 A battenberg cake is just a light sponge, colored and “glued” together in a checkered pattern with apricot jam, and wrapped in marzipan. 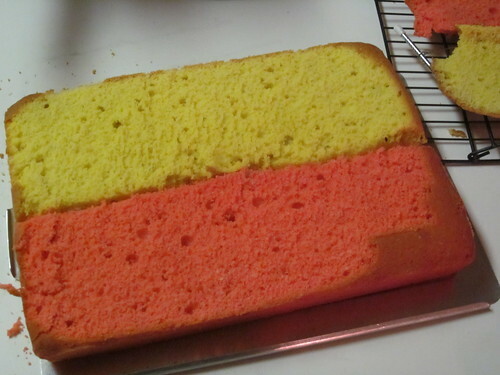 I opted to swap out the jam for lemon curd which gave it a really nice, summery flavor. 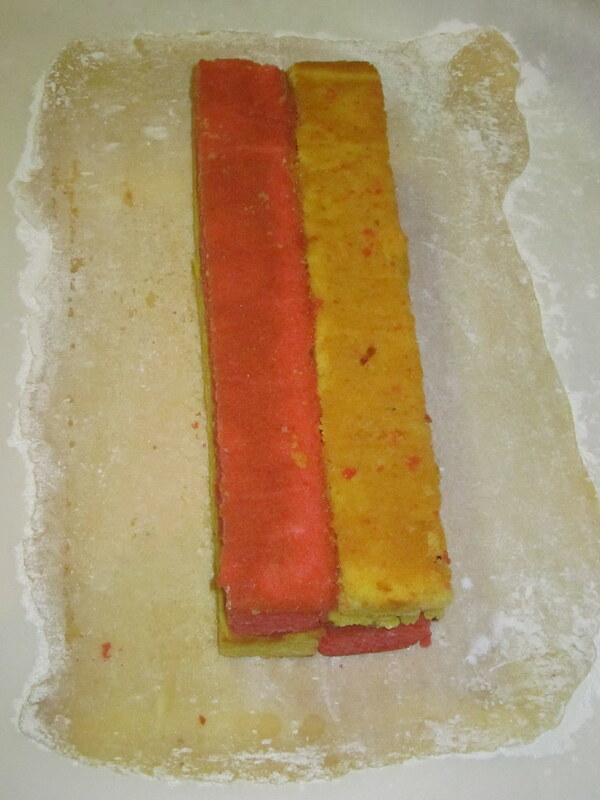 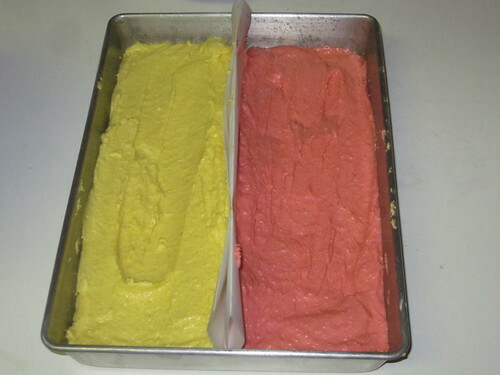 I couldn’t find a battenberg pan that would ship from the US, so I did as our challenge host suggested and divided a pan with parchment. I wanted to achieve a long, narrow cake, so I used a 9×13 inch pan and doubled the recipe so it would also be tall. 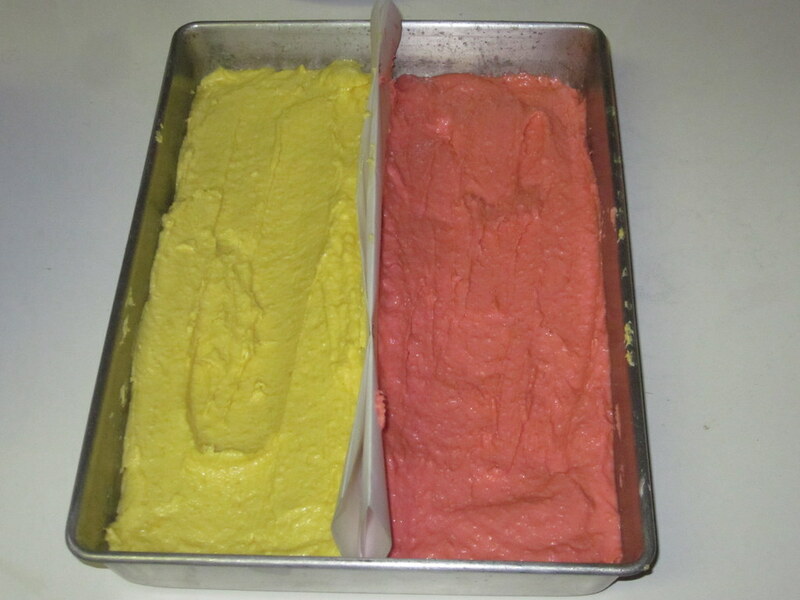 Really not a difficult challenge and I wish I had had more time this month to make another with different flavors. The recipe will be archived along with many others I would not have known about if it weren’t for the Daring Kitchen. 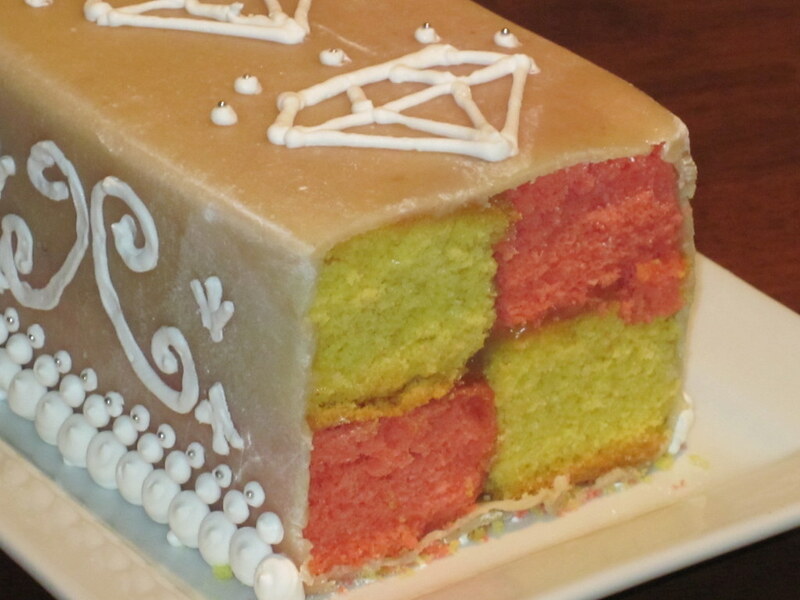 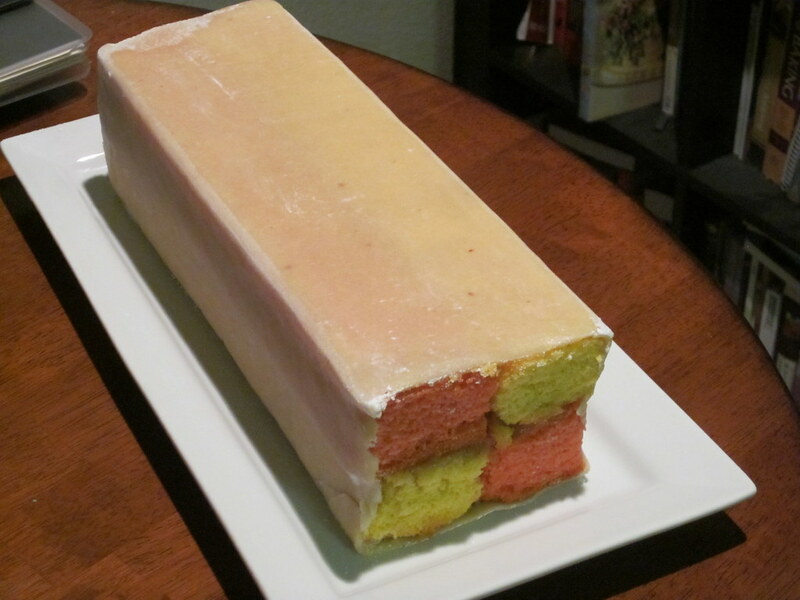 You have not seen the last of battenberg cakes from me.